Adding bulky ribbon to a card can be a little challenging. Today’s 2-Minute Tuesday Tip is SUPER QUICK and you will learn how I add bulky ribbon, well any ribbon really, to a card! Let me share today’s 2-Minute Tuesday Tip! 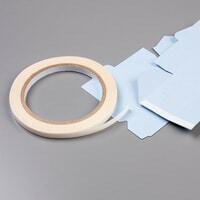 Add some Tear & Tape to your next order! It’s awesome stuff! While I am gone, I have some great stuff lined up for you. Yes, I have been BUSY this past week getting ready for this week. I have lots of videos, tutorials, and other fun stuff lined up for you. I will have my iPad and phone so if you need me, email me at [email protected]! I hope you found today’s tip helpful. I love the look of ribbon but this tip is such a good one for keeping the ribbon FLAT and stuck down where you want it. Have a wonderful Tuesday my sweet friends! See ya tomorrow! If you use the NOVEMBER HOST CODE 4SSATK43 on your order of $30* or more, I have an incredible 14-page pdf tutorial for the MORE THAN CHOCOLATE projects. These cards and gifts are perfect for giving any time of year and the resolve around one of our favorite things – Chocolate!!! Remember, if your order is over $150.00*, DON’T use the Host Code and earn Stampin’ Rewards (Rewards start at $15) plus you’ll also receive the tutorials! BIG win!!! Want to order the MORE THAN CHOCOLATE TUTORIAL collection? Click here! Great idea. But I have a question…..is the tear/tape sticky thru the holes in the ribbon? Good question! No, I had no issues with that at all. LOOOOOVE this tip Connie, I sometimes avoid adding some pretty ribbon just because it’s so bulky but this method is full proof. Thanks for the great video tip. Which Framelit/Thinlit dies did you use to create your flowers? These are from the Quilt Builder framelits. Good tip Connie! Yeah, I loved that flower die too! Which one is that? Have fun in Salt Lake City! I’m interested in knowing how you made the item you were taping down!! It looks like a railroad track! Did you make it? Its hard to tell exactly what it is on my tablet!! Would love to know what it is!! The card and tear tape tip is fabulous!! I am with the above ladies, I love to do anything “flowers” and wondered how you created those cute flowers! This card is actually part of the Christmas Quilt fundraiser tutorial. ?